Heavy duty trucks are more capable, and expensive, than ever. With each member of Detroit's Big Three producing one-ton pickups that pump out over 900 lb. ft. of torque and can haul over 15 tons, the price tag carries over as just another monstrous figure. Now, with the luxo-barge F-450 Limited, Ford has created what it says is the most expensive production-consumer truck yet with a six-figure price and unmatched comfort -- all for the price of a Mercedes-Benz S-Class sedan. 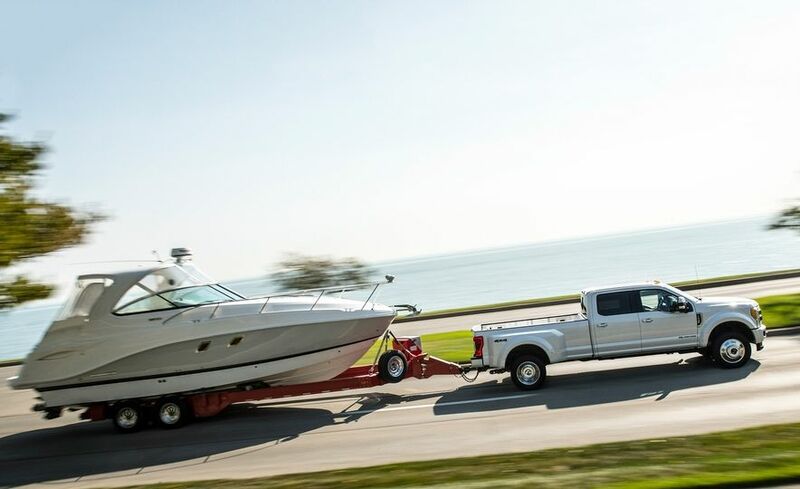 Loaded from top to bottom with nearly every optional extra that Ford Motor Company offers, the F-450 Limited sits above the rest of the Super Duty lineup. Available exclusively with the automaker's extremely apt 6.7L Powerstroke diesel, it works up 925 lb. ft. of twist, which is outdone only by Ram who has a 5 lb. ft. advantage. That, paired with a maximum trailer-tow weight of 32,500 lbs. is enough to make this what is perhaps the most coveted truck in the segment. Oh yeah -- and don't forget the amenities. Heated and cooled leather seats that also massage you make for what is undoubtedly the most comfy workhorse environment, and a panoramic sunroof makes it fun for the whole family. Features like a 360 degree camera, adaptive cruise control, and a host of other safety and entertainment equipment propels the F-450 Limited to the next level of luxury overkill. 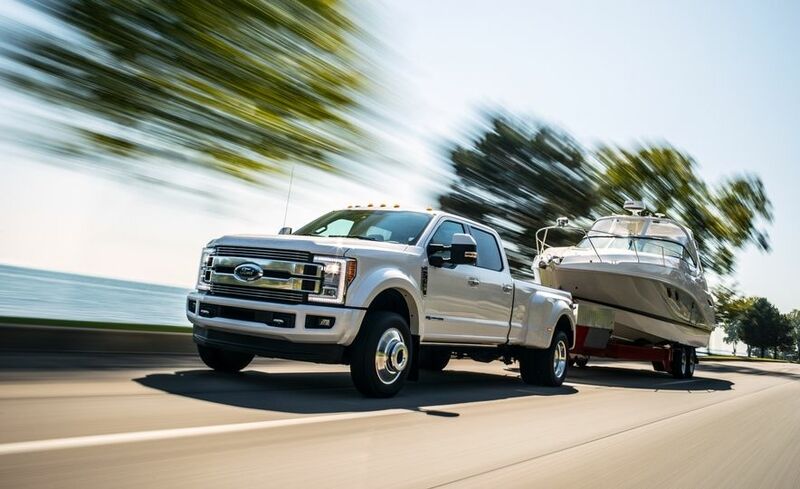 "There are heavy-duty truck customers who need Super Duty-level capability and want true luxury," said Todd Eckert, Ford Truck group marketing manager. "We created this new truck to answer the call for even more premium choices in the Super Duty range as we see more and more truck customers trending to more premium models." In relation to the former top-tier Platinum trim, the Limited offers a list of exterior and interior upgrades. Two-tone Camelback leather seats, a suede headliner, and hand-finished dark ash trim are just a few of the obvious differences. As for the truck's outward appearance, it's treated to a trim-exclusive satin grille and tailgate plaque, making it distinguishable from the rest of the Super Duty stable. Pricing for the F-450 Limited starts at nearly $87,000 with available extras bumping that cost upwards of $94,000. After taxes and fees, that puts it over a hundred grand. The slightly less capable F-250 Limited pricing begins at $80,835 while the F-350 SRW version splits the difference of $82,010. BDS Suspension's "Project Ascension" made the 2000 mile trek from Michigan to Las Vegas for the SEMA show. 930 lb. ft. of torque beats out both Ford and GM.